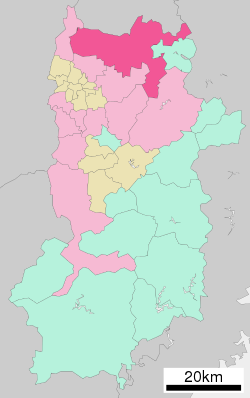 Nara (奈良市, Nara-shi, Japanese: [náꜜrà]) is the caipital ceety o Nara Prefectur locatit in the Kansai region o Japan. The ceety occupies the northren pairt o Nara Prefectur, borderin Kyoto Prefectur. Aicht temples, shrines an ruins in Nara remeen: speceefically Tōdai-ji, Saidai-ji, Kōfuku-ji, Kasuga Shrine, Gangō-ji, Yakushi-ji, Tōshōdai-ji, an the Heijō Palace, thegither wi Kasugayama Primeval Forest, collectively form "Historic Monuments o Auncient Nara", a UNESCO Warld Heritage Steid. This page wis last eeditit on 14 Apryle 2017, at 00:50.